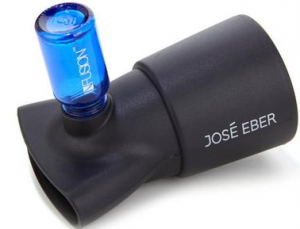 José Eber Salon and Products Review: Everything Eber! Home | Hair Care | José Eber Salon and Products Review 2019: Everything Eber! 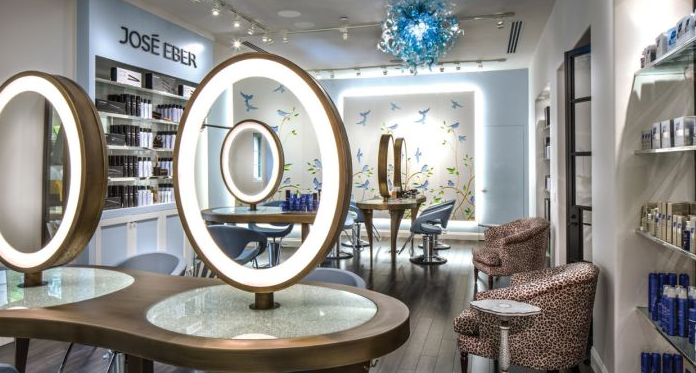 José Eber Salon and Products Review 2019: Everything Eber! José Eber is a celebrity hairstylist known for his work on the likes of Farah Fawcett, Elizabeth Taylor, Betty Davis and Cher. 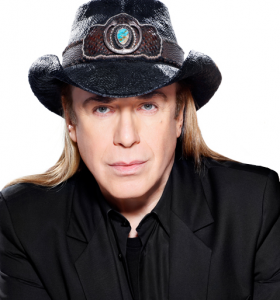 Eber is French and trained in Paris where he honed his unique style, right down to his own long blonde hair and signature cowboy hat. Watching José Eber speak, it’s clear that he has a love of all things hair and that he’s passionate about making a trip to the salon a pleasant, confidence-boosting experience. It therefore seems to have been an organic progression for him to expand to styling tools. This resulted in José Eber Hair, a styling tool product line marketed as a way for people to tap into the Rodeo Drive salon services in your very own home! If you’re looking to drop $500 on a haircut, José is your man. And I guess quite a few people out there are because apparently it can be very difficult to snag an appointment with him. To address this problem, Eber started offering an in-depth consultation service during which he creates an individual look to suit the lifestyle, personality, and face shape of the client, which is then executed by a member of his team. The other stylists at his salons charge about $150, varying slightly based on skill and seniority. The salons are located in Beverly Hills, Santa Barbara (Eber himself only takes appointments in the California locations), New Jersey, and Dubai. All four salons are beautiful and luxurious and pay close attention to detail with beautiful lighting, massage chairs for when your hair is being washed, and other little perks. 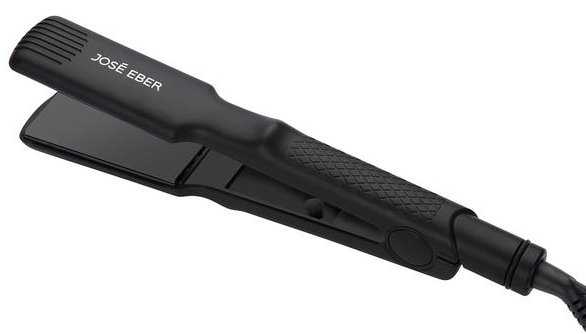 The José Eber Hair line makes salon-grade products designed for personal use. The product range includes a variety of hair products, the most famous of which are the patented Eber hair dryers. Also included are a variety of flat irons such as their 100% ceramic plate option (not ceramic coated like many other “ceramic” straighteners), which is great for the hair but fragile, and a Petite straightening iron for travel or little touch-ups. Eber even offers clip-less curling wands in three sizes, and a curling wand with a safer cool tip which are useful for anyone looking for a quick curl. A basic straightening brush and a straightening brush that infuses your hair with healing serums are among Eber’s most acclaimed products, each boasting the power to transform your hair in one treatment. Eber even produces two heat-activated serums; one for softening hair and another to add volume. 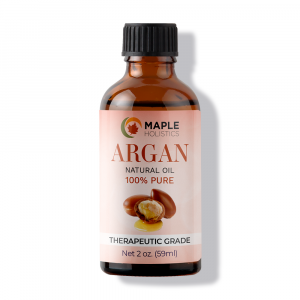 The products are on the pricier end of the spectrum of at-home products for sure, but very reasonably priced if you compare them to salon products which these claim to share quality-level with. José Eber Hair sells a few different types of flat irons for different styling needs, and each have their pros and cons. Two of the most intriguing to me are the Vibrating Flat Iron and the Wet and Dry Straightener. Vibrating Flat Iron: Flat iron straighteners can get caught on the hair, leaving little kinks or areas that are heated for longer and therefore more damaged. The vibration technology reduces friction, which helps the iron glide down the hair for a smooth, even, non-damaging pass. It features tourmaline ceramic (coated) plates which also contribute to the shiny, smooth end result. Wet and Dry Straightening Iron: Being able to straighten your hair while it is wet can really cut down on straightening time. There are a few wet to dry straighteners on the market, but I love that this one works for both wet and dry hair. Other products that are only meant for wet hair have intrigued me, but if you are like most people and invest in one straightener at a time, that isn’t the most practical because your hair will most definitely not be wet every single time you want to straighten it. This straightener uses steam and negative ions for a sleek, healthy look. It even utilizes 360-degree swivel, so no more annoying tangled cords and having to switch hands every two minutes. 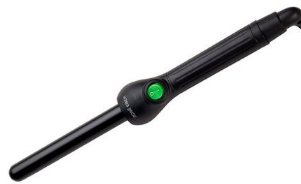 This curling wand has a Korean tourmaline ceramic barrel. Don’t worry if that sounds foreign to you – I didn’t know what that meant either! To quickly break it down, this barrel is beneficial because ceramic heats up evenly and glides along the hair without tugging on it. Because of this, it’s less damaging than aluminum, copper, or other metals used for hair styling. Tourmaline is a mineral that smooths hair and combats damage by emitting negative ions (counteracting the positive ions in damaged hair). It has a 360-degree swivel cord, which is almost crucial for a curling iron because you’ve got to twist them downward – cords can really get in the way of that. The Curling Iron Wand is a dual-voltage product which means you can travel with it safely. Related: Check out our Lush, Dove, Vichy, and Garnier Brand Reviews! 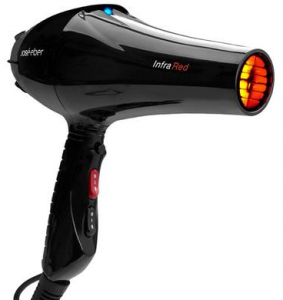 The QuickShine Infrared Blow Dryer is a professional grade blow dryer that is light and quiet. Let me tell you, this thing gets the job done so quickly, it’s almost hard to believe what kind of improvement it makes over the average drugstore brand! Not only does it save you time, it minimizes hair damage because your hair is being exposed to high heat for so much less time. There are four speeds and heat settings to choose from, as well as a cool shot setting to lock your style in place by sealing the hair cuticle. Straightening brushes are a lazy gal’s dream, and the answer for anyone on a time crunch. Traditional straightening tools work best on hair that was just combed through because the heat hits the hair evenly and tangles don’t leave hair crimpy. The brush reduces styling time by de-tangling and smoothing out hair as you straighten. You do have slightly less control than with a classic flat iron, and the heat doesn’t hit the hair as directly so you may not be able to achieve that pin-straight look. What it will give you is natural looking straight hair with body in a fraction of the time it usually takes you to straighten. This nozzle can be easily snapped onto any standard hair dryer to turn the tedious drying process into a multi-functional hair treatment. The treatment is dispensed as a fine micro-spray, so it’s evenly dispersed and lightweight. The nozzle’s shape concentrates air flow for more styling control. 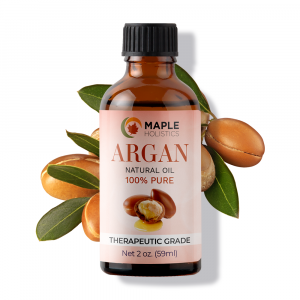 The serum’s main ingredient is argan oil, which has a higher concentration of repairing vitamin-E than any other oil. 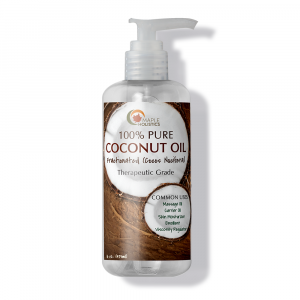 It is also extremely moisturizing and can help rebind split ends. The Eber treatment even protects the hair from future damage, so you’re actually preventing heat damage as you blow-dry. The Infusion Straightening Brush sprays a light mist of nutrient-rich treatment. Heat opens up the hair follicle so it’s most receptive to hair treatments when you’re blow-drying or straightening it, making this extremely effective. 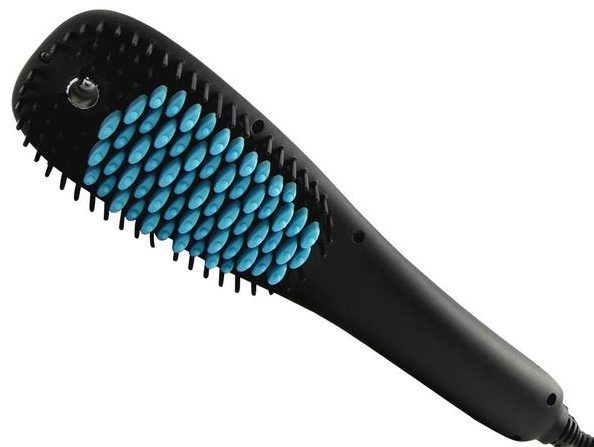 Silicone bristles are taller than heated ceramic bristles, so your scalp is protected from burning and you can really use this as you would a regular brush. Speaking of the ceramic bristles, ceramic has anti-static properties, so the brush reduces frizz and fly-aways. The heat range is from 176°F to 450°F, and there’s digital heat control. Customizing your heat based on preferences can help anyone whose hair is particularly sensitive – or insensitive – to heat exposure. Due to the nature of my job, I tend to use a wide variety of products over the course of the year. So my hair has become used to dealing with a different range of products over a particular period of time. I have also become quite adept at noticing the differences between the products. While Jose Eber is one of my more recommended brands for those who want salon style results at affordable prices, and my hair was better off for it, it’s probably not a brand I would use for an extended period of time. In truth, I don’t do a lot of heat styling on my hair, but if I did, I would probably use a more accessible brand like the DeroTeno Ionic Ceramic and Titanium Flat Iron simply because it’s cheaper and just as effective on my hair. However, it is true that not all hair types are the same and that certain flat irons are better suited to treating multiple types of hair in multiple conditions. For this, Jose Eber stands alone. The products have been cleverly designed to suite a range of hair types and for those that need something more specific (say an intensive curler or a serious straightener brush, the brand will cater for you. 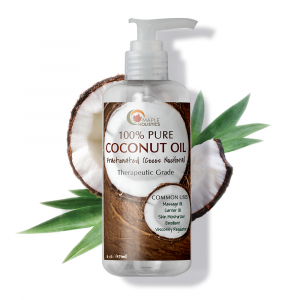 So my decision not to stick with this brand isn’t particularly because I don’t like their products – it’s really just because I enjoy trying natural styling and treatments over heat-based treatments. That’s why I utilize DIY treatments like hair masks and shampoo bars! If you’re looking for a strong, durable and effective flat iron or simply want a good, reliable hair dryer – Jose Eber is the brand to trust. All Eber products feature an impressive manufacturers lifetime warranty – so it’s clear that the company has high standards and trusts that their products will live up to the high expectations of their users. That’s definitely a reassuring sign! Looking to learn about some more great names in personal care? How about Erno Laszlo, Estee Lauder, or Revlon? It’s all here at Maple Holistics! With a reputation like his, José Eber is definitely a guiding force in the hair industry. His products seem to be at the forefront of hair technology, and have all the components I look for in a styling tool; ease of use, effective, and damage-minimizing. I am torn though, because there are so many styling products out there that utilize the same technology but retail at a much lower price. Like Eber says himself, it’s all about the experience, and it would seem that you are paying for the name as well as for the product itself. If you’re looking for top quality – Eber is well worth it!